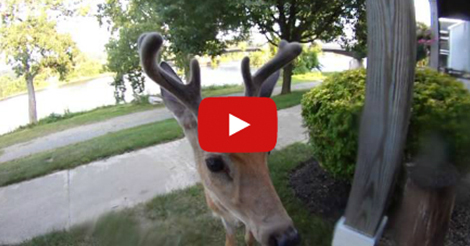 This men films the deer that he saw in the street, and the curious deer walks up towards him and licks the lens of his ContourROAM2 on his porch. Looks like he thought the camera was a carrot or some sort of a food. Be careful when filming coz he might swallow it next time. Or… maybe he knew it was a camera and wanted to show us his close-up!